First, there was Mazogs on the Sinclair ZX81. It was a dungeon crawler and it was great. Then, there was Maziacs for the ZX Spectrum. It was a dungeon crawler and it was great. 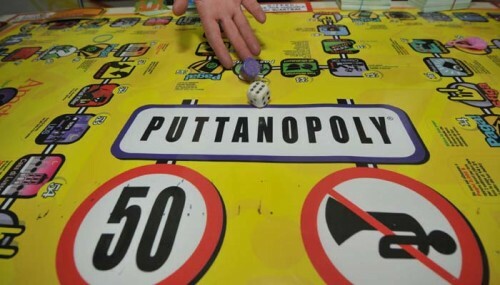 Now, there is Maziacs: The Boardgame. It is a dungeon crawler and it is great. It also is absolutely free, provided of course you have a printer and some dice, and can be played with purely analog means. 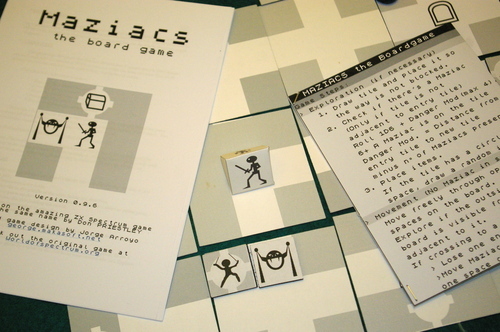 The question though is whether Maziacs: The Boardgame, a boardgame based on a rather ancient and definitely simple CRPG, is worth your time, effort and paper. Well, I’m pretty sure it is. 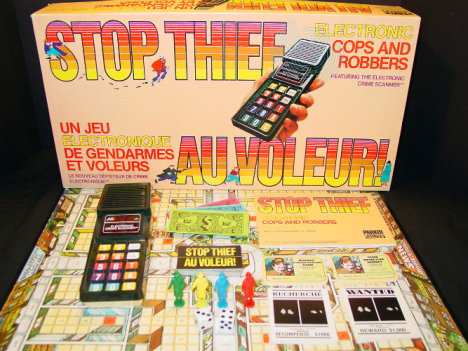 The rules are incredibly simple, smart, fun and versatile, and the game can be played both in its standard single-player mode and cooperatively. I’m actually pretty sure it could be run with a Game Master too. As for its aesthetics, simple as they are, they remain true to the original source and evoke a certain retro feel. Definitely worth a try. Download your PDF copies here.